Does climate change affect your hair? Mine does! Now that it is starting to cool down my hair definitely becomes more dry and brittle around Fall time. 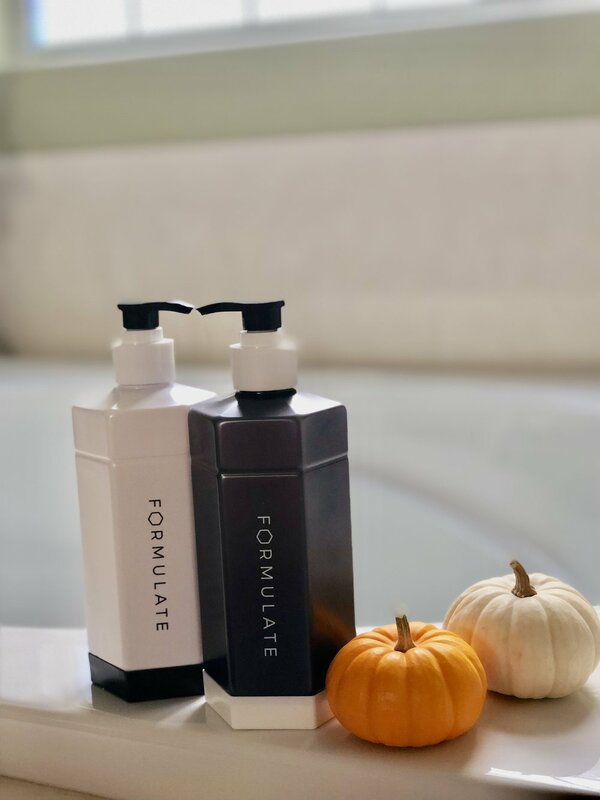 Formulate is a hair care company personalized just for YOU! Fill out a simple — short questionnaire about your hair (texture, length, hair-care needs, demographic) You are also able to choose from 7 scents & strength of your formula. Formulate brings together chemists and engineers to create a formula based on your unique characteristics of effective ingredients. Download the Formulate—Personal Care app. to conveniently adjust your formula settings & provide feedback to a chemist all at your fingertips. Feedback is strongly encouraged to better formulate research to save old-age personal care struggles and put an end to trial and error tests, over- sold driven gimmicks and product waste. My customized Formulate set arrived very timely. I appreciate that the package itself is very presentable and cushioned nicely to avoid any damages during shipment. It includes a detailed information card about your specific product.I also love the packaging of the shampoo & conditioner bottle with 2 pump nozzles for each. Very sleek and aesthetic packaging. After trying the formula for a week I have noticed a change in my hair in terms of texture, very pleased with my results thus far. I greatly appreciate the communication and assistance from the Formulate Team. They reached out to make sure that my set was to my satisfaction. I had expressed that my only concern was the scent of my formula. They were able to send an adjusted set, free of charge. Excellent customer service!! One winner will receive a FREE customized @formulate.co set & all entry participants will receive $5 OFF discount.